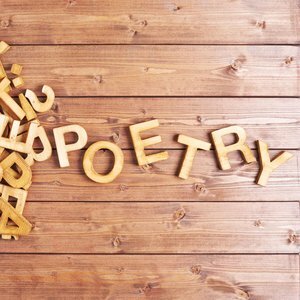 World Poetry Day is a day for celebrating the fantastic poets writing today, and for promoting poetry to a new generation. With that in mind, we’ve come up with five ways you can get children engaged with poems – read on to find out more! The best way to teach them what makes a good poem? Get them to write a TERRIBLE one. Put together a couple of examples and then ask your pupils to write the worst poem they can think of – tell them it’s got to be as bad as it can possibly be. Once they’ve done that, read through them as a class. Ask them to think about why their poems are so bad and, by extension of that, what would make a good poem. It’s a great, fun way to get them thinking about the mechanics of poetry, without scaring them off by asking them to create a masterpiece straight off. Poetry slams are competitions where poets read, perform or recite original work. The best performance wins. Split your class into small groups and ask them to write a poem of their own, perhaps basing all the poems on a certain subject. Each group can then perform their finished piece and the teachers can choose the winners! This also works really well across a year group, with different classes competing. Ask your class to illustrate the same poem and then, once they’ve all finished, spread the illustrations out and discuss the work. It’s an ideal way to show pupils the wide range of interpretations you can get from a single poem, as well as being the perfect starting point for a class discussion. Poetry is cool now. If you’re teaching older children who’ve probably never associated poetry with hip hop or rap, show them video clips from Youtube of contemporary performance poets such as Kate Tempest. They’ll see poetry in a whole new light. They may not understand poetry, or they may think it’s boring – but whatever they’re interested in, there’s a poem about it. Use poetry anthologies to match children with a poem about something they care about. Or, for something a bit different, print out song lyrics from their favourite artists and discuss how, actually, those lyrics are poetry, too. To get you started, we’re running a flash sale on poetry resources, anthologies and class packs – we’ve got everything you need to get prepped before the big day! Start browsing now. Get ready for our May Book Club! The Laugh Out Loud Awards shortlist has been announced! After months of deliberation by our esteemed judges, we’re delighted to announce the shortlist for the inaugural Laugh out Loud Awards (“The Lollies”)!